Well, the obvious answer is to set off for Italy, land of lovers and home of great lovey-dovey food and drink like chocolate and wine. However, things can start feeling a little less special when you think of all the classic places to go, Florence, Venice, Rome. It’s not that these places aren’t gorgeous of course, but this holiday is meant to be about you and your favourite person, or, if fate would have it, you and your cat (and as a representative of this category I’d like to point out this is totally fine). With that in mind, it seems natural to want to go on the road less travelled and find your very own romantic retreat. Somewhere special that feels like it was made for just the two of you. But where you cry? Where are these remote Italian love-nests? How will your love be successfully celebrated in a unique and wonderous way? Well fear not lovebirds, Clickstay has got you covered! You might know little Liguria by its other name, ‘The Italian Riviera’, a beautiful, mountainous stretch that borders the northwest coast. Within it, are a whole host of places for you and your significant other to lose yourself in, including picturesque coastal towns and botanic gardens. A highlight for those in love (and ahem, those with cats) is the aptly named Riveria of Flowers, an area that hugs the Mediterranean border from Tuscany to the west of France. Scores of gardens line the area, making it the perfect place for all manner of wildlife and provide the ideal backdrop for pointing at the pretty scenery and telling each other who loves who more. The jewel in this particular crown is San Remo, known as ‘The City of Flowers’, well-loved for its flora and a great place to visit some local points of interest like La Pigna and Basilica Concattedrale. 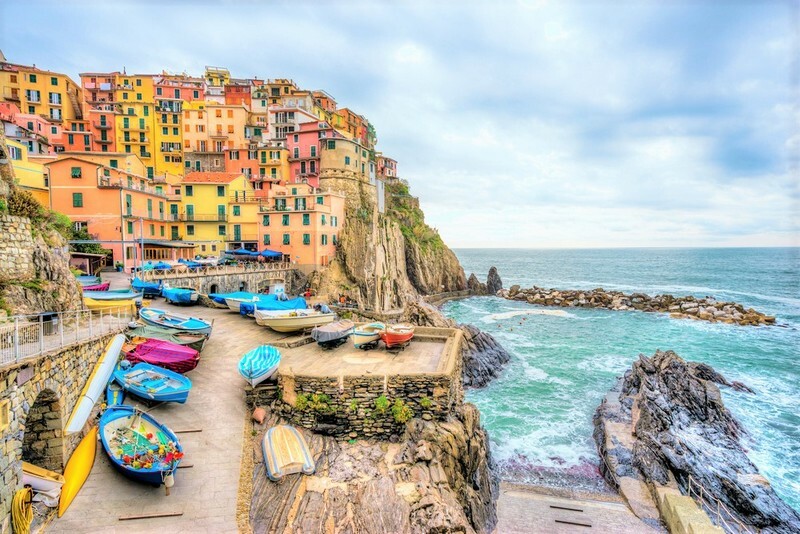 Elsewhere in Liguria is the Cinque Terre, a cluster of villages that have retained all that wonderful Italian authenticity. These magical havens are Corniglia, Manarola, Riomaggiore, Monterosso and Vernazza, all beautiful, all retaining their classic charm. With their trademark architecture that comes in all shades under the sun and glorious walks along the water, there is perhaps nothing more romantic than taking one of the coastal hikes hand in hand, sun blazing above, with the sea lapping at you to the one side and these adorable villages beckoning from the other. You can reach Venice from Treviso in under an hour and very often that's what people do, after all, Venice is the tremendous city on water, what could be more romantic? Now don’t get us wrong, Venice is a beauty, and if you haven’t gone you really should, but let’s not cast Treviso aside as merely a passage to better things, because it turns out that if you stick around awhile, you might just fall in love with it. 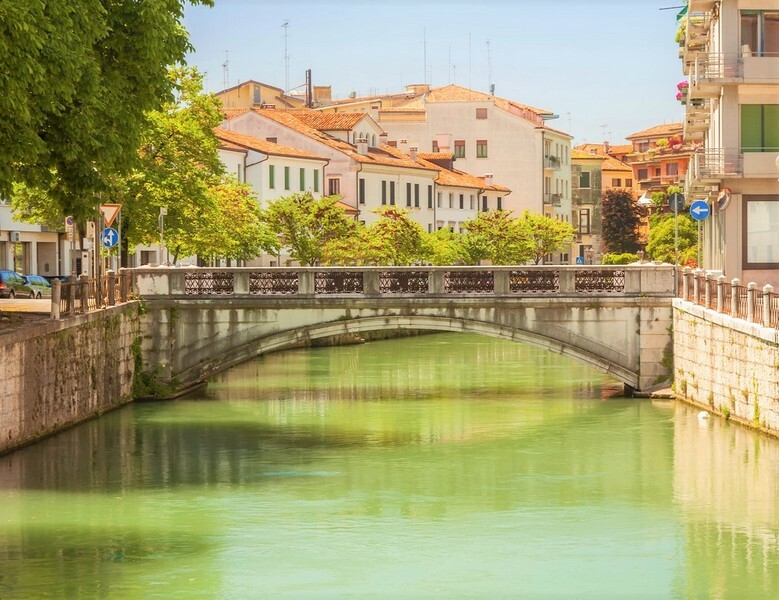 Cobbled streets that weave and wander as water might (harking back to the days when that’s exactly what these pathways were filled with) and full of a rustic charm that can get lost in more touristy destinations, Treviso is truly a delightful find. With pretty canals, rouged brickwork buildings and a rich culture, this is somewhere that you and your beau can really believe is all your own. We highly recommend visiting the Musei Civici di Treviso whilst there for some of the most beautiful artworks to be seen, paintings and sculptures are all wonderfully presented in this museum and well worth a visit for people who are more culture-vultures than lovebirds. This is just one of many cathedrals, museums, eateries, and points of interest though, so you're bound to find something that will tickle even the fussiest fancy. Colloquially known as the heel of Italy, Apulia is a pretty, often overlooked area, full of a raw atmosphere that reeks of traditional Italy. 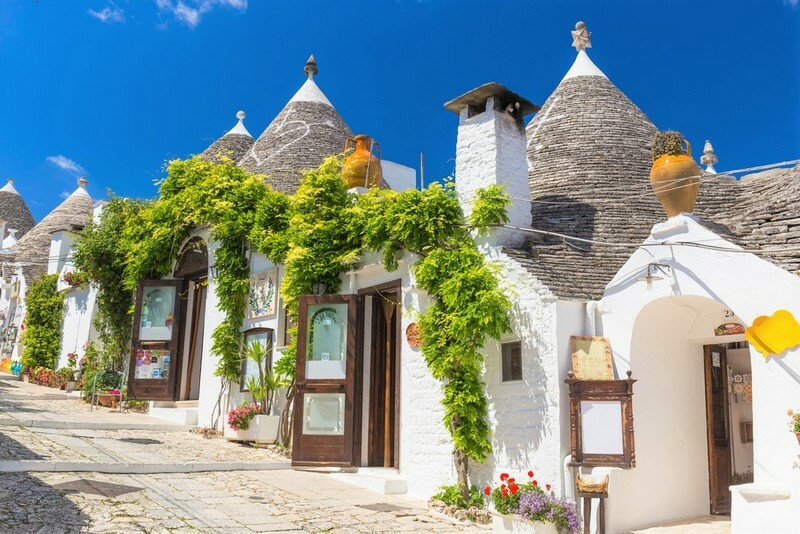 One of the quirkiest things to see is the distinctive Trulli, conically shaped huts that were particularly commonplace in 19th century Italy. They are very sweet to look at and you can even stay in one if you really want to get a taste of the real Italy! Elsewhere in Apulia, you'll find a whole host of things to do and see. Whether it's a wine tour in the picturesque Lecce or dolphin watching in Taranto, there's no end to the wonders you can find yourself getting wrapped up in. One of the top things to visit is the Grotte di Castellana, an absolutely stunning limestone cave that you can take a guided tour through. The natural landscape within is nothing short of breath-taking and will leave you feeling like Alice down the rabbit hole. In amongst all this, you'll also find beautiful beaches, mountain biking opportunities, and wonderful street food. No matter what kind of Valentine's celebration you're after, Apulia is a great place to visit. Where will you fall in love all over again? Check out our villas in Italy and let the good times begin!